Hotel Frisat is an amazing piece of property that provides some comfortable rooms and quite a number of basic facilities. The rooms are well-furnished and well-lit. There is a lot of woodwork in the interior decor. The rooms are quite spacious and have been decorated with paintings to enhance the homely feeling. 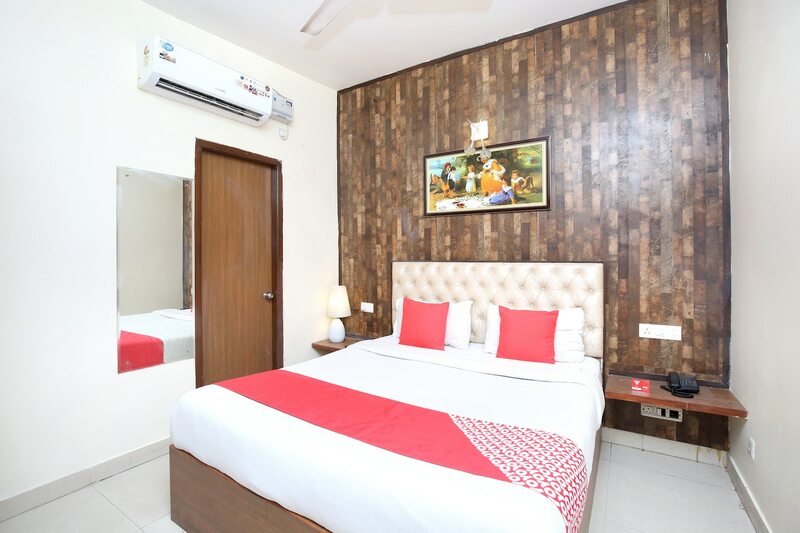 The additional features provided by the hotel are free Wi-Fi, a constant power backup source, parking provisions, card payment in all forms and CCTV cameras. There is a common lounging area where guests can relax and enjoy some good conversation with fellow guests after a long day at work. The front desk service is near the entrance and is managed by some experienced staff who help the guests with their requests and requirements.